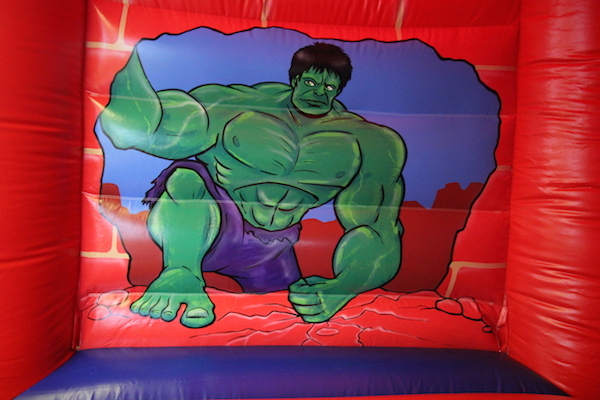 This splendid bouncy castle and slide is truly fabulous. 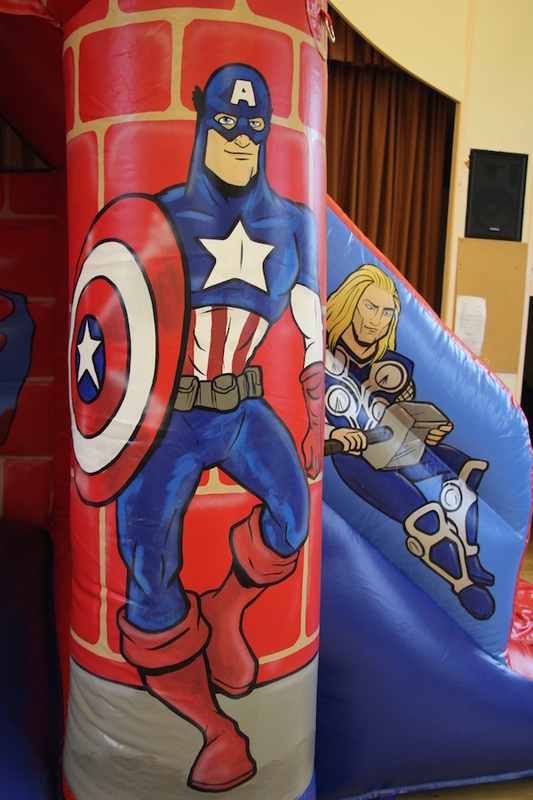 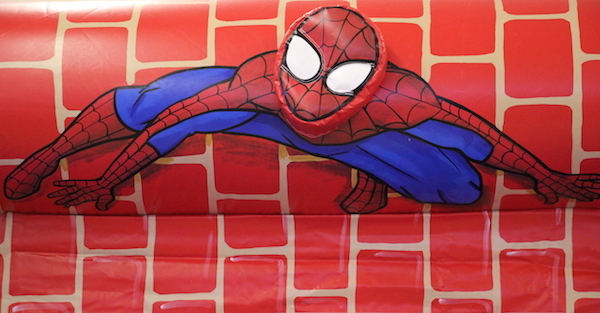 Meticulously hand painted featuring a striking 3D head, this inflatable is absolutely perfect if you are having a Hero themed party. 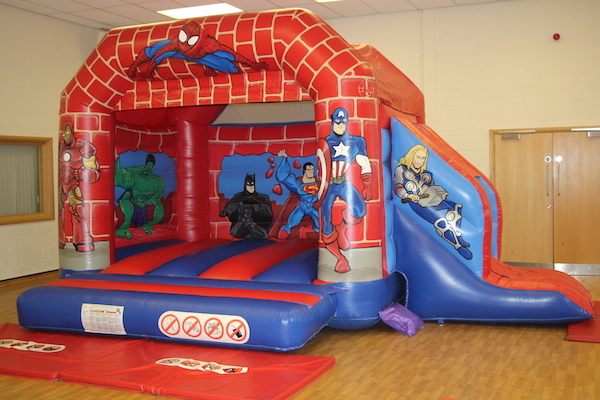 This amazing Bounce & Slide is suitable for indoor (subject to the ceiling height) and outdoor parties. 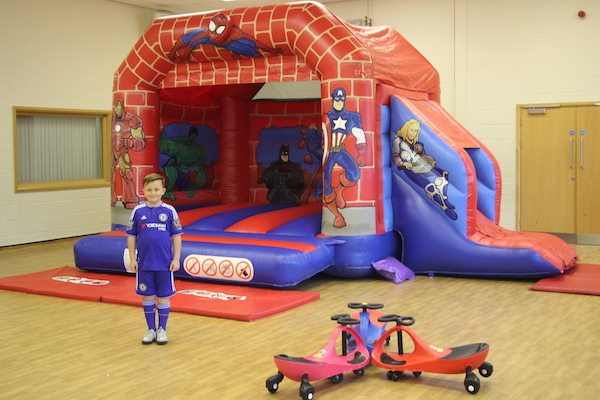 For help choosing a village hall or community centre as a venue please refer to our halls and venues page. Feel free to contact our office via email or phone for advice. 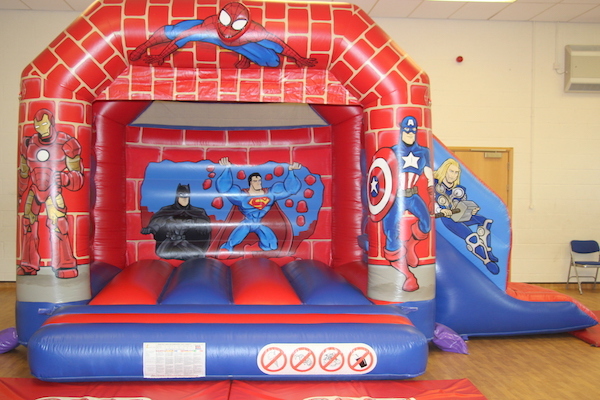 We have a vast knowledge of great places to have your party in and around Evesham and all other areas of Worcestershire, Gloucestershire and Herefordshire.